Mitel and VMware® are the first to bring voice to the virtual desktop, enabling organizations to reap the benefits of adding unified communications and collaboration (UCC) to other virtual desktop applications. Operating systems, configuration settings, and applications that have traditionally run on personal computers can instead be located centrally on virtual servers in the data center, and accessed over the Internet – via the cloud. For technical reasons, voice applications have traditionally been excluded from the virtualized desktop. 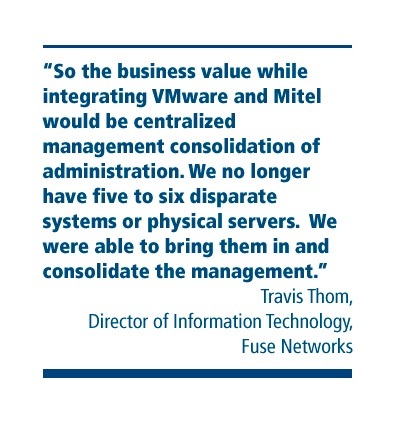 But Mitel and VMware have brought voice to the virtual desktop by integrating Mitel Unified Communicator® Advanced (UCA) with VMware View, generating significant benefits for IT, end users, and the organization as a whole.